The Water Pump offered by us are highly demanded by our customers for their excellent functioning and superior quality. 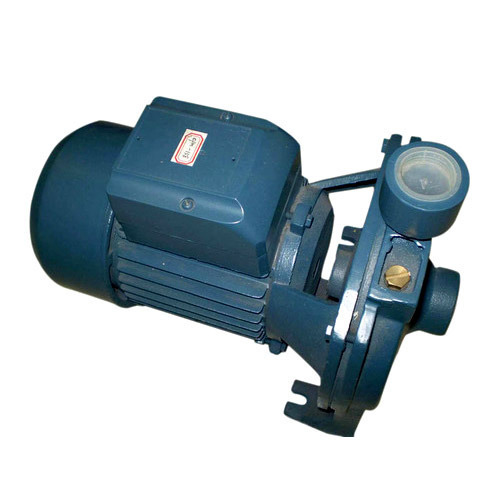 These pumps are widely used by the clients for the process of pumping water or mud. Our products are available in various specifications to meet the varied requirements of the clients. Moreover, we customize these products in terms of capacity and size as per the specific requirements of our clients. Possessing more than 18 years of experience, we have been able to offer a wide array of supreme quality Electrical Motors Spares, Dryers, Chillers and other Spare Parts. Additionally, we are also engaged in offering Offset Printing Machines. The range of our products includes Electric Motor, Refrigerator Parts and Air Compressor Spares. Moreover, we offer Refrigeration Industrial Chiller, Refrigerated Dryers and Offset Printing Machine. These machines are manufactured using high grade raw material and latest technology & machinery. We procure the raw material from the reliable vendors of the industry. Our customers look forward to us for all their requirements to meet their requirements efficiently. The products offered by us are highly demanded by the clients for their dimensional accuracy, reliability, longer functional life, excellent performance and high efficiency. Our products are widely by the customers for their applications in different industries and sectors. These products work efficiently and are highly appreciated for their optimum level of performance. The customers can avail these products from us at nominal price range. We have diligent workforce, which manufactures the superior range of products by its excellence and expertise. We deliver a range of quality products as per the requirements and demands of the customers. Moreover, customized products are also offered by us as per the specifications of the customers to meet the variegated requirements of our clients. Post production, our quality auditors check the range of our produced products on various quality parameters to gauge their flawless quality.